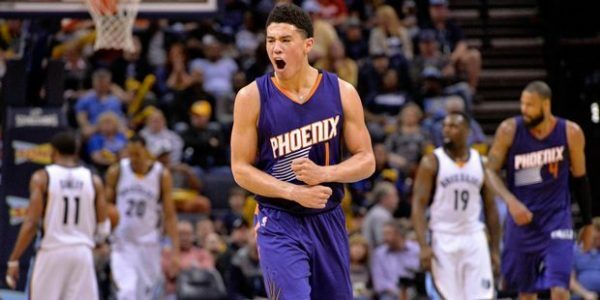 Grizzlies vs. Suns Free Pick 01/30/17. The Suns lost a game Saturday night that was set up relatively well for them. They were favored against Denver in the second half of a home and home. The Nuggets were w/o arguably their best player, Nikola Jokic, and led only once in the first half. Regardless of the final result (123-112 Denver), I’m going to recommend a small play on Phoenix (PLUS the points) here. After all, they will be seeking to go a perfect 6-0 ATS this year when off a SU loss as a favorite. This will be Memphis’ third road game in four nights. They are off a big win in Utah, as seven-point dogs, Saturday. This team has been outscored on the road this season and is 0-7 ATS its L7 away games when the total falls into the 205 to 209.5 point range. Laying points on the road, it’s going to require a strong offensive effort here from the Grizz to cover. But considering Phoenix averages over 106 PPG, it’s an effort I don’t think the visitors have in them. Something I do not think we’ll see here is 42 free throw attempts by the Grizzlies. That’s how many times Denver went to the charity stripe Saturday and they took advantage by making 37. It was basically the difference in the game. (Also cost me an Under bet!). This is a rare TNT appearance for the Suns as well and I think the players will want to make the most of the national TV exposure. Memphis has gone nine straight games w/o posting back to back wins.